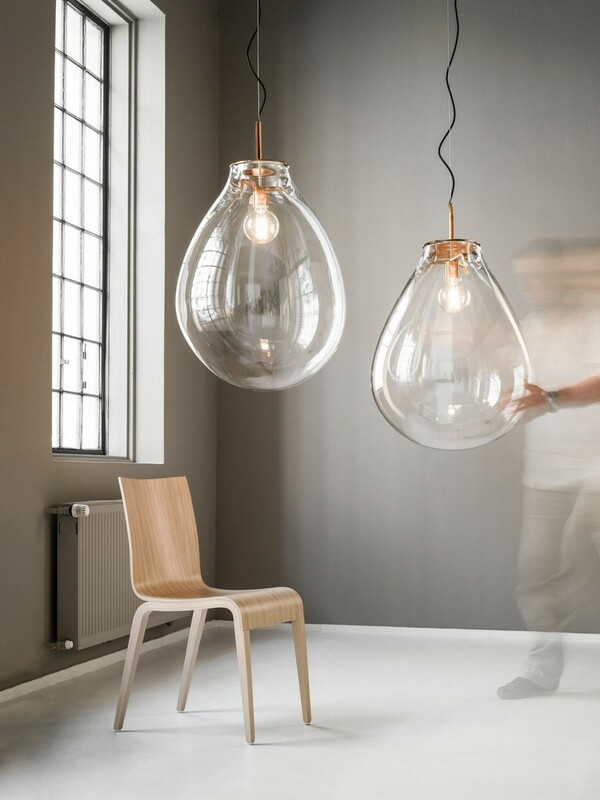 In recent times lamps and home accessories in the shape of a sphere or its distorted air-bubble version are more and more gaining ground in the world of lighting design. We selected a few lamps of different brands going in line with this trend: neutral and multicolor, classical and art-deco-style, suspended and table versions… Let’s take a look! The Czech Republic is one of the recognized global leaders in the world of glass-blowing. This country is very rich in glassworks with a centuries-long history, as well as small private companies engaging qualified glassblowers to create genuine pieces of art from sand and soda. This is also true in the case of the Sklo (“sklo” stands for “glass” in the Czech language), a small lighting design firm that focuses on clean lines and simple forms. 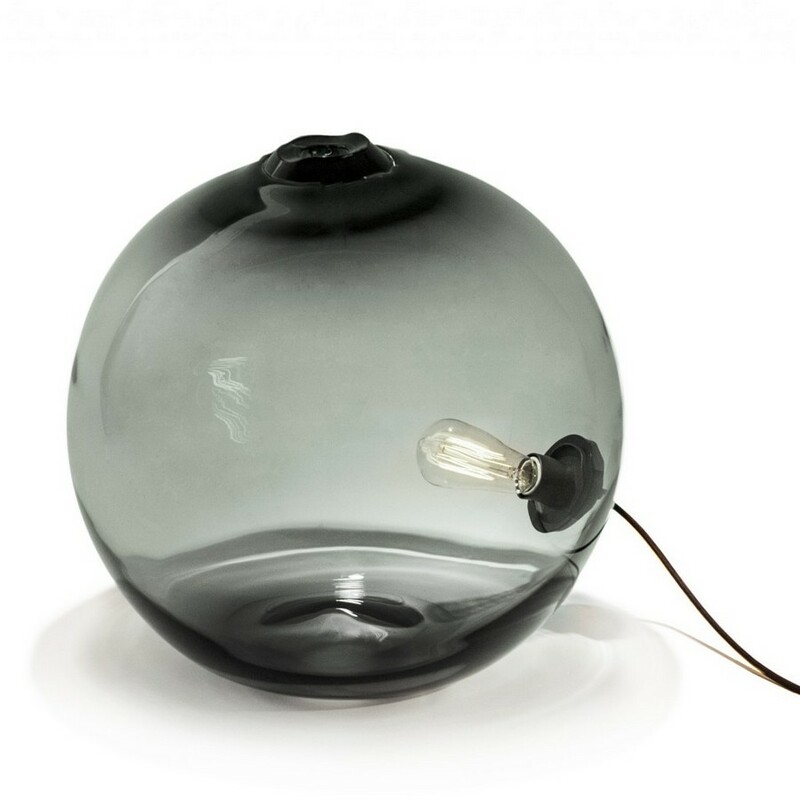 The embodiment of this concept is their Float Lamp design: hand-blown from Czech glass into a spherical form with a traditional incandescent light bulb inside, it can bring a note of modernity to any home. By the way, it can be placed either on a table or on the floor. 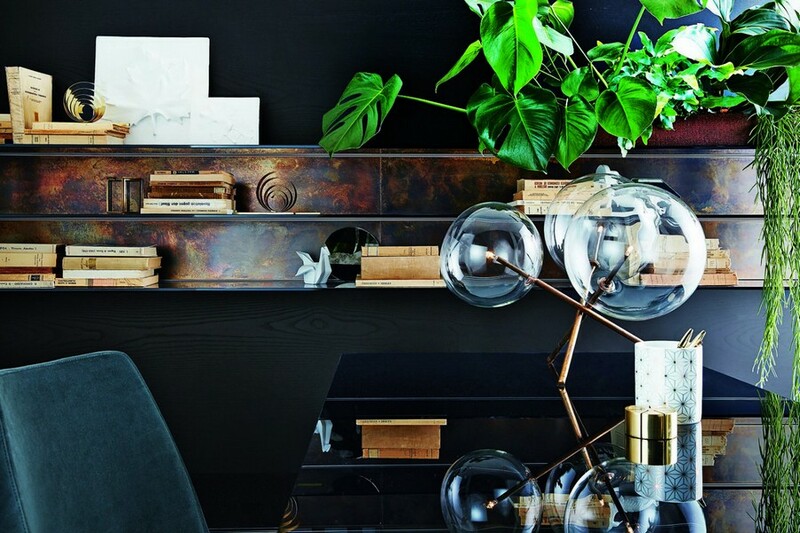 This lamp from the Bolle Collection by Massimo Castagna consists of three transparent blown spheres on brass legs. Its architectural, art-deco-style look is given a touch of exclusivity: the slightly irregular and naturally spotted brass finish is hand-polished and hence is always unique and one-of-a-kind. The lamp is available with either a halogen or an LED bulb. 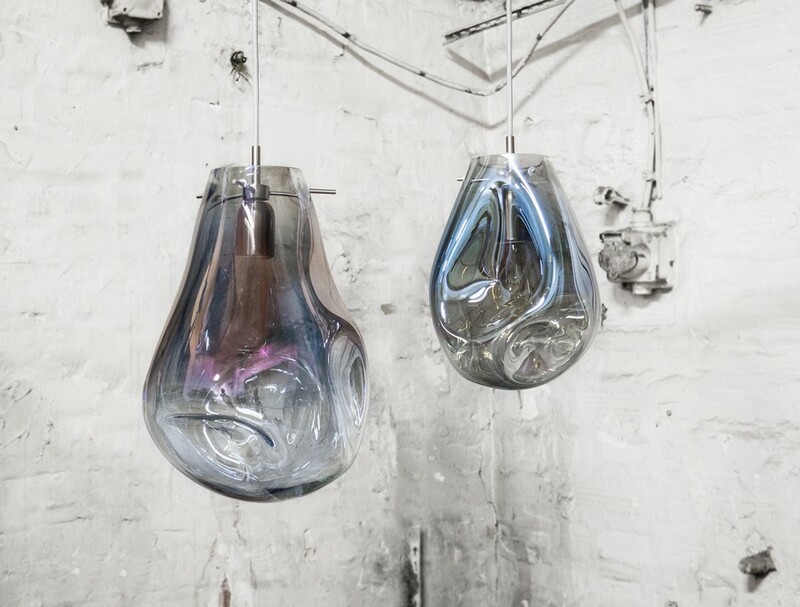 The name of this suspended lamp speaks for itself: its freely blown glass shade was inspired by the irregular and always unexpected shape of soap bubbles. What comes out when you freely hand-blow glass? The TIM Lamp designed by Olgoj Chorchoj! 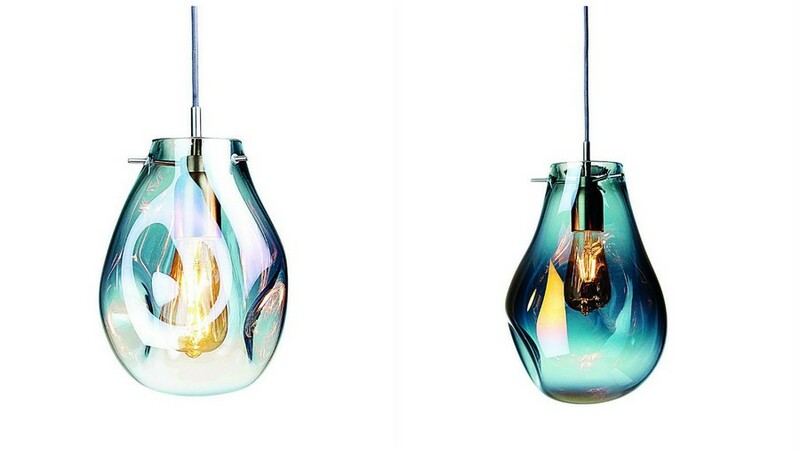 This oversized pendant is also available in a smaller version for residential spaces. 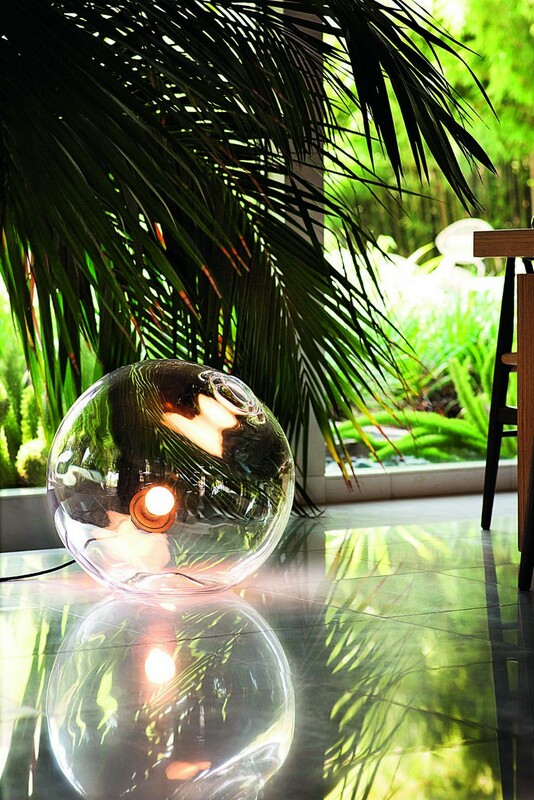 The author of this spherical lamp made from colored polycarbonate got a portion of inspiration in a cozy beach house on Ibiza. Its ceiling was decorated with a bunch of cheerful paper spheres made in papier mâché technique. 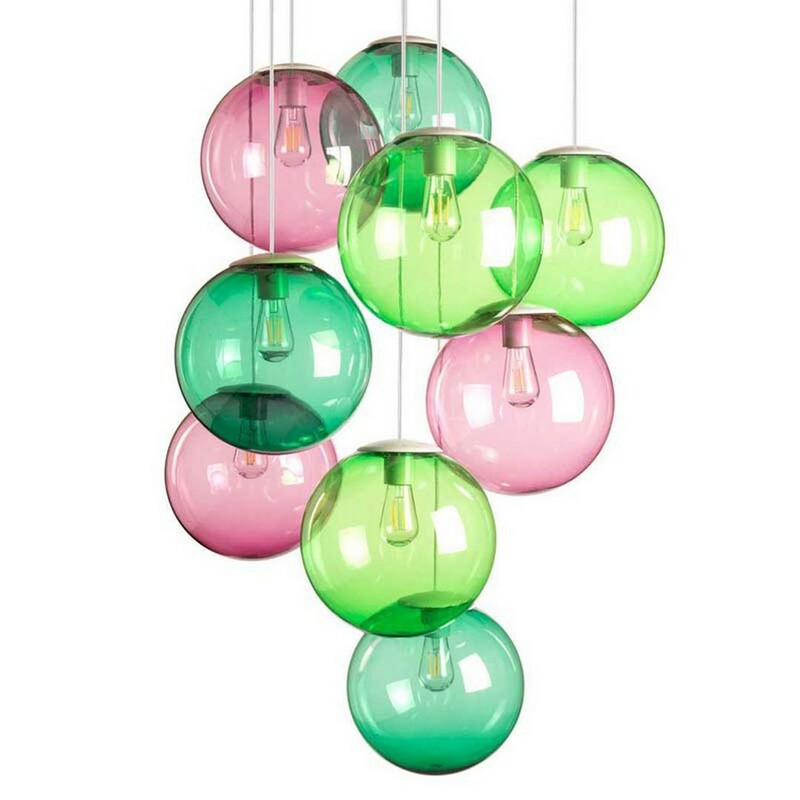 Those spheres gave the designer an idea to create something bright, round and light. And this something is the Spheremaker Lamp. 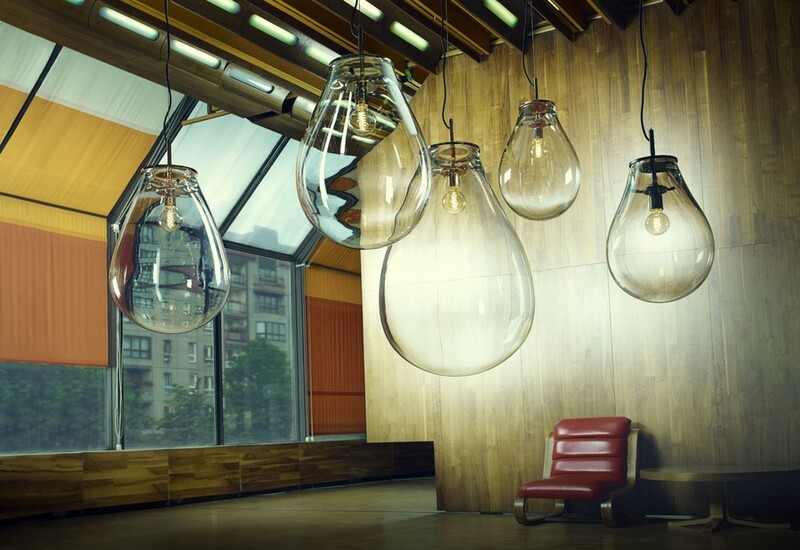 However, the element of creativity is not limited to the lamp design only. Every light fixture is supplied with magnets and clips that the user can utilize to change the position and height of the spheres depending on the mood and current needs. 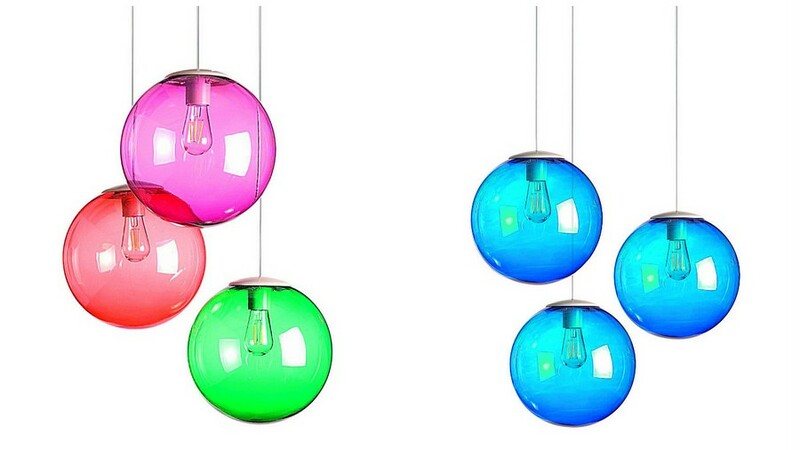 There are 12 different colors available and you may optionally choose 1, 3, 6 or 9 spheres for your personal composition. So, the setting can be changed every day and also the LED light bulb can be dimmed with a remote control. This table lamp is made from glass and marble. Such a combination of sophisticated classical-style materials is however given a surprisingly contemporary look with an unusual color of the glass shade and a bold architectural shape. The spherical shade of the Neptune Lamp includes two layers, and the inner one is made of frosted white glass, which gives this light fixture a deep, magical look.